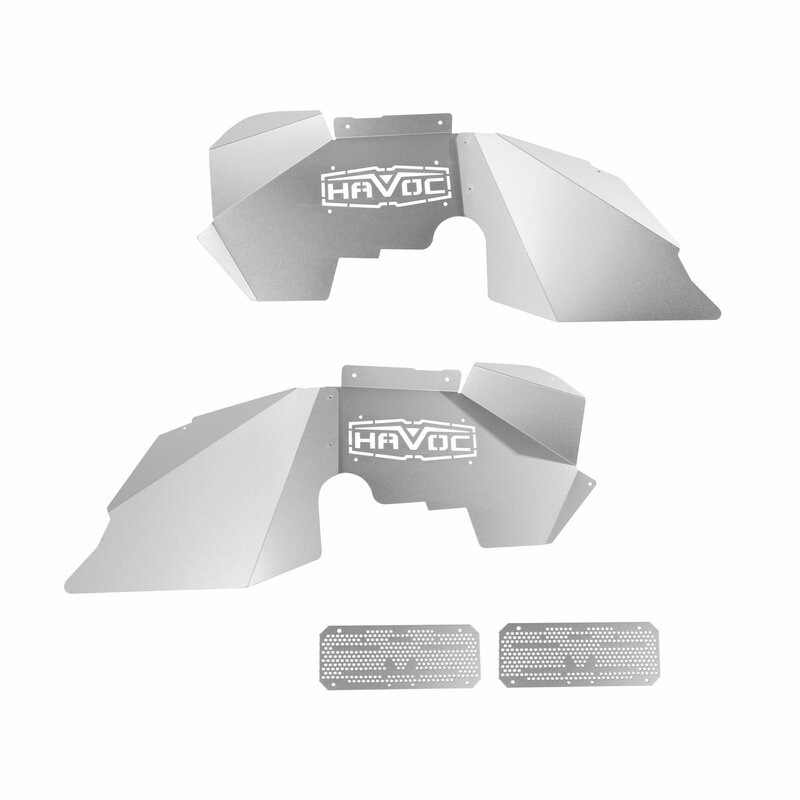 Protect the engine bay of your Jeep Wrangler JK from offroad debris with the Havoc Offroad Aluminum Front Fender Liners. These sleek polished aluminum fender liners will also compliment the aggressive stance of your Jeep with their bold design. 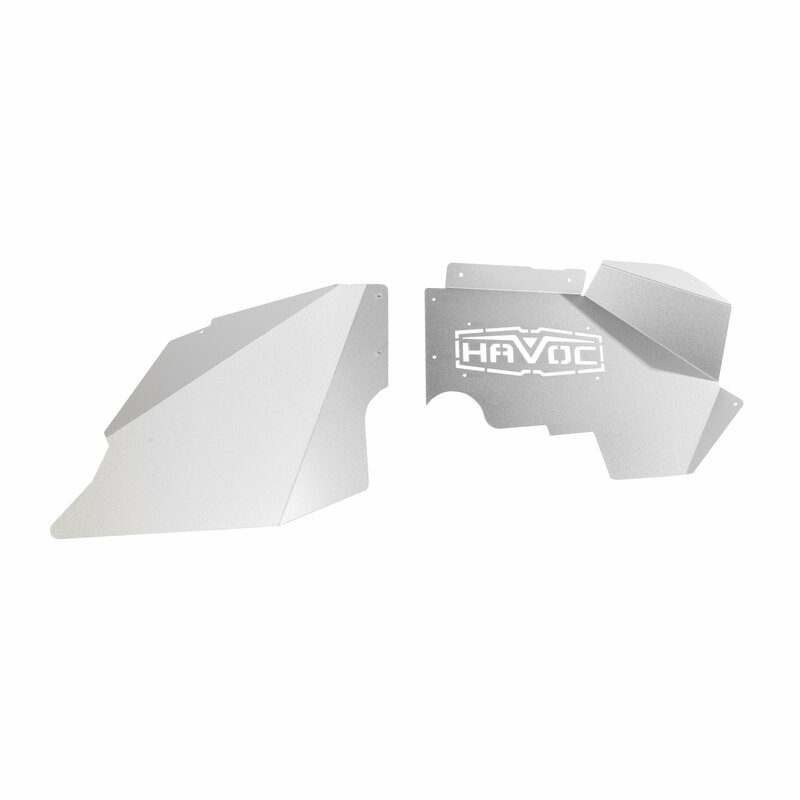 Made from lightweight aluminum and custom formed to fit your JK. 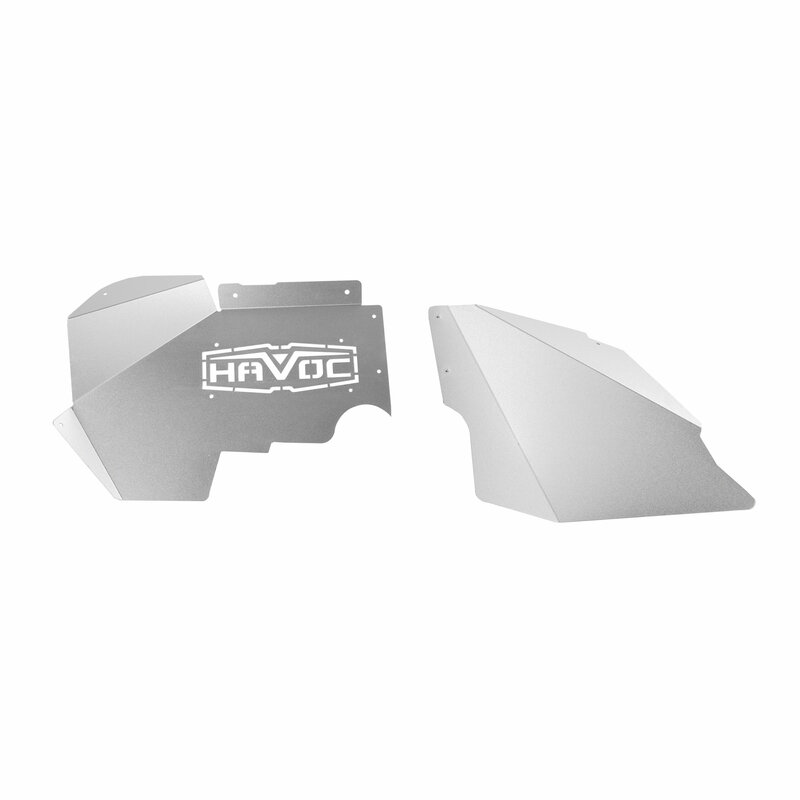 A direct replacement for the original plastic liners with a simple bolt on installation. Some drilling and trimming may be required. Sold as a pair. Lightweight Aluminum: Weighing in at about 5 lbs each giving you added protection without excessive weight. Vehicle Protection: Your Wrangler deserves the best protection with these premium liners. Keeping the debris away avoiding harm to your engine bay. Some Drilling and trimming of plastic may be required.